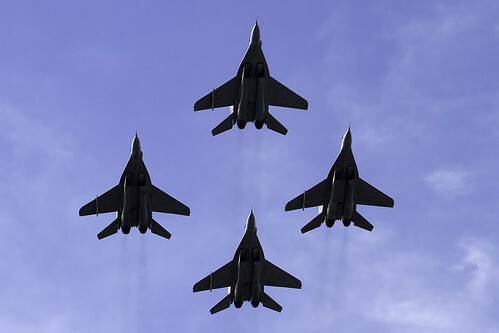 The Singapore Airshow 2012 is a 6-day event, taking place from 14 to 19 February 2012. The first 4 days of the Singapore Airshow are exclusively for trade attendees and the final 2 weekend days are open to general public at large. Show visitors are treated to an extra 30-minute aerobatic flying display taking place at this year’s Singapore Airshow over the public weekend on 18 and 19 February. This is in addition to the 60-minute aerial display. 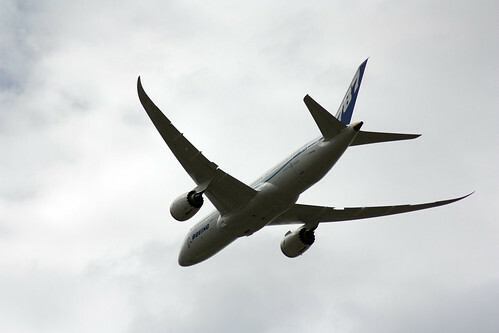 The highlight of the 2012 airshow was the visit and flyby of the Boeing 787 Dreamliner. A old Singapore Airlines’ Boeing 747 was a the centre stage of the show, it was there to mark its retirement after serving SIA for 40 years. The Boeing 787 Dreamliner, the world’s most advanced passenger airplane. The Boeing 787 Dreamliner is a long-range, mid-size wide-body, twin-engine jet airliner developed by Boeing Commercial Airplanes. It seats 290 passengers, depending on the variant. Boeing states that it is the company’s most fuel-efficient airliner and the world’s first major airliner to use composite materials for most of its construction. The 787 consumes 20% less fuel than the similarly-sized Boeing 767. Some of its distinguishing features include a four-panel windshield, noise-reducing chevrons on its engine nacelles, and a smoother nose contour. Other Boeing platforms on static display includes the F-15SG fighter, the CH-47 Chinook heavy-lift helicopter, the AH-64D Apache advanced multirole combat helicopter, and the KC-135R Stratotanker. 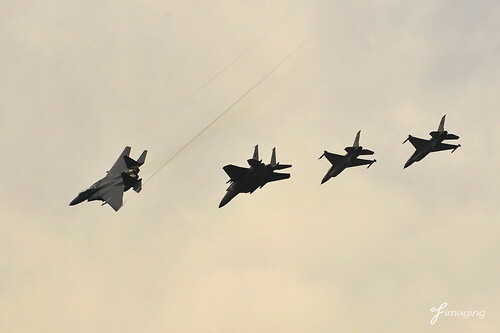 Vistors to Singapore Airshow 2012 can get face-to-face with the power and glory of warbirds and graceful commercial aircrafts and exciting aerobatic flying displays by RSAF, RAAF and RMAF. From Australia, the RAAF Roulettes Team Aerobatics with Six PC-9A and Blair Aerosports with Tony Blair flying the Rebel 300. The Roulettes team Flight Lieutenant Bernie Gleeson, Flight Lieutenant Cory Fischer, Flying Officer Richard Morris, Flight Lieutenant Steve English, Lieutenant Glenn Stegink and Roulette Squadron Leader Matt Plenty and Steve Bake. Tony Blair (Not the Ex-UK PM) is one of Australia’s top aerobatic pilots with 20 years Air Force experience flying jets including over 1,000 flight hours on the F-111. From Malaysia, the RMAF Smokey Bandits Team Aerobatics with Five MiG-29N. . Based at Kuantan, the team is a unit of No. 17/19 SKN (Squadron), which is also known as the “Taufan Ganas”. All of the team’s pilots are operational fighter pilots, including a female pilot, Major Patricia Yap Syau Yin. Malaysia Boleh! From Singapore, the RSAF F-16C + F-15SG Flying Duet. 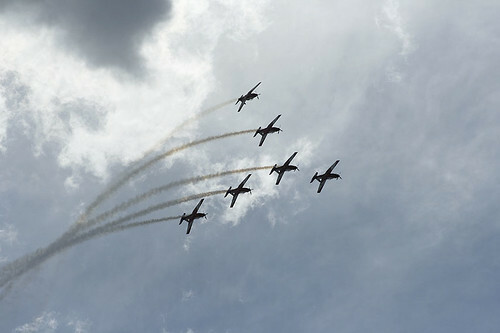 A total of 13 manoeuvres was performed during a 14-minute segment at the Singapore Airshow. Major Yip Chiang Syn piloted F-15SG and Major Desmond Too piloted the F-16C jet. They both have chalked up 1,500 flying hours each. From USA, the fat Boeing C-17 Globemaster III do some heavy duty aerobatics and the good olde Boeing B-52 Stratofortress, mother of all bombers, flyby. Flying display times from 14 to 19 February 2012. Planes will be flying in the open sea area between Pulau Tekong and the Malaysian Ferry Terminal. for Wednesday, Thursday and Friday. From 11:00am to 12:00pm and from 3:00pm to 3:30pm. for Saturday and Sunday, the weekends. 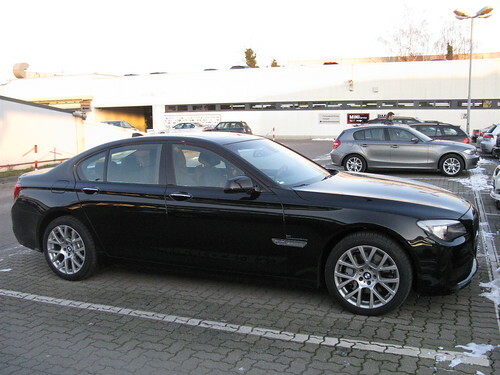 BMW will be providing more than 350 BMW limousines will be used to transport VIP attendees of the Singapore Airshow 2012. Performance Motors, BMW distributor in Singapore, will deliver a courtesy fleet of limousines which will include the BMW 7 Series, the BMW 5 Series and the BMW X1. Here are senior defence officials attending the airshow which entitled for the ride: Malaysian Defence Minister Dr Ahmad Zahid bin Hamid; Malaysian Deputy Minister of Defence Abdul Latiff bin Ahmad; US Assistant Secretary of State for Political-Military Affairs Andrew Shapiro; German Director of Armaments Detlef Selhausen; Chief of the Air Staff of the Indian Air Force Air Chief Marshal (ACM) Norman Anil Kumar Browne; Commander-in-Chief of the Myanmar Air Force Lieutenant-General Myat Hein; Commander of the Russian Air Force Colonel-General Alexander Zelin; Chief of the Air Staff of the Royal Air Force ACM Sir Stephen Dalton; and Commander of the US Pacific Air Forces General Gary North. Hi to every body, it’s my first pay a quick visit of this webpage; this web site consists of amazing and actually excellent stuff designed for readers.